Sample H. The function sub_10BB6 has a loop searching for something. The first parameter seems to be a pointer that fetches a value from the offset 0x3C. 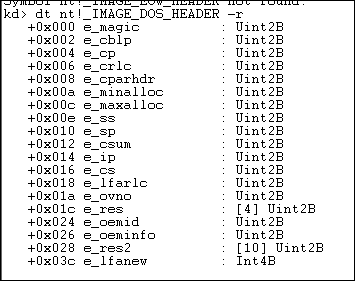 Looking at the PE file format specification, we see the offset at 0x3C of the DOS header structure contains a pointer to the PE header structure. 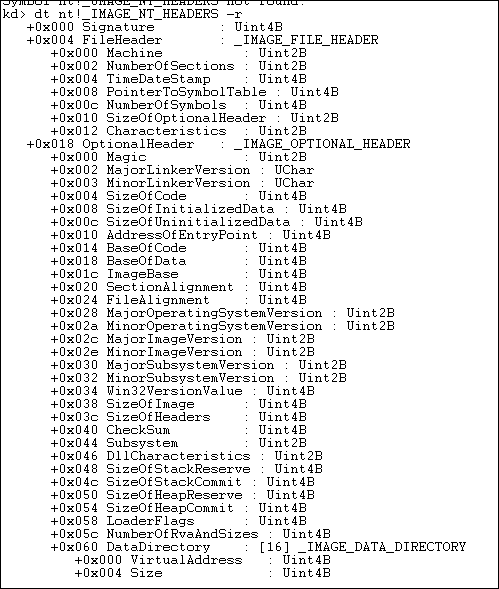 Therefore, we assume that param1 points to a DOS header file structure. Exercise 6 on page 35 of the book Practical Reverse Engineering presents us with a malware samples. Firstly, we see that the function prototype takes two parameters, which are not saved on the stack but in the two registers ecx and edx. This can be deducted from the fact that these two registers are immediately referenced without prior initialization. Note that the function returns a NTSTATUS value, which is publicly documented by Microsoft at https://msdn.microsoft.com/en-us/library/cc704588.aspx. Unfortunately I had no time in the past days to continue with the exercises. 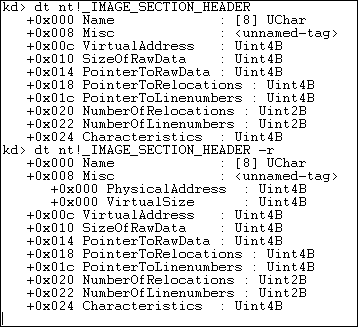 We continue with the decompilation of the KeReadyThread function in Windows 7. 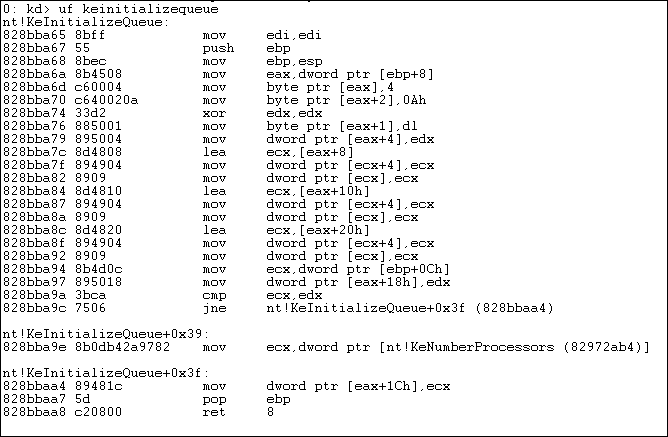 We are tasked with decompiling the Windows Kernel routine KeInitializeQueue. The routine itself does not return anything. We learn it takes two parameters and as the assembly contains the ret 8 instruction, the KeInitializeQueue function cleans up the stack and thus, it uses the stdcall convention.